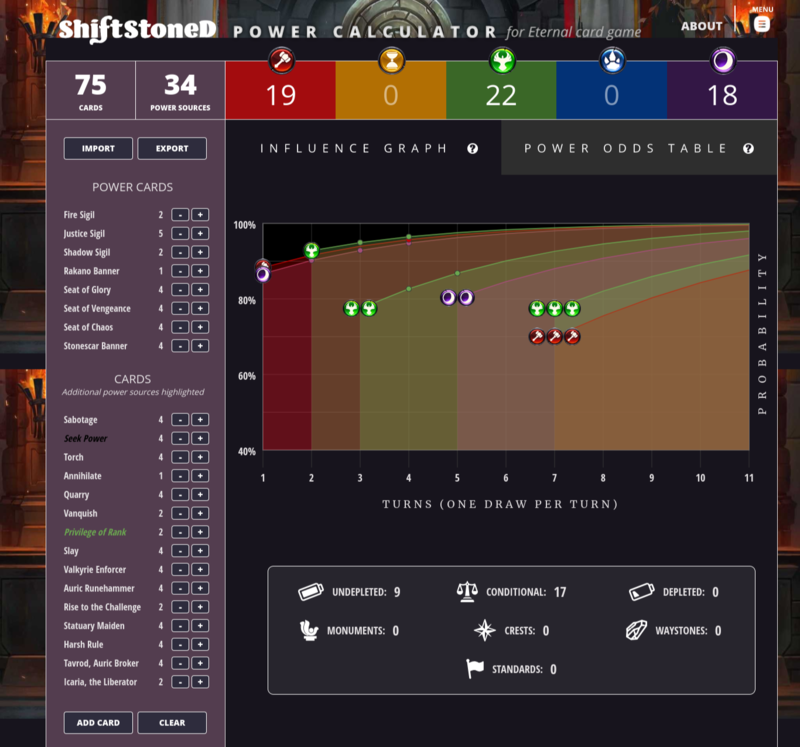 The Eternal Power Calculator is a fan-built deck-building tool that visualizes your odds of drawing enough Influenceand Power based specifically on the cards found in your deck. Import a deck or build one from scratch: the visualizer will create a custom chart on the fly which you can then edit and export. Getting under the hood and optimizing your deck’s power base is the best way to ensure that you can play the cards you want, when you want to play them. The Eternal Power Calculator helps you to do just that. Try it for yourself, and help us continue to develop by sending your thoughts.